If you watch ASMR videos in bed, you know how uncomfortable it can get when you have to hold your phone or tablet up in the air to watch the videos. Wouldn’t it be great if there were some things you can buy to make your life easier? Sadly, there isn’t, the technology simply isn’t there yet. Just kidding, of course there are. Here are the best tools to help you watch ASMR videos in bed. Use this to hold your phone up. Put the base on your bed or somewhere nearby like a lamp table and twist the arm to perfectly align with your eyes. Make sure the phone is properly inserted in place or it may fall right on your face at any time. There’s one for a phone and one for a tablet. They come in different lengths and depending on where you want to put the base, you should choose the appropriate length. There’s also a magnetic one in case you don’t want your phone or tablet to get scratched. 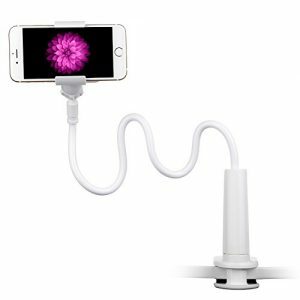 While a cell phone holder is nice for watching ASMR videos, what if you wanted to use the phone to load another ASMR video? You’d have to raise your hand up at an uncomfortable angle. Well, you don’t have to if you get periscope glasses. These special glasses are angled at 45 degrees, making it possible to see your feet while you lay flat on your back. You can rest your phone or tablet on your chest or belly and still be able to see it. What’s more is you’ll be able to use your phone easily as your hands will be supporting it. 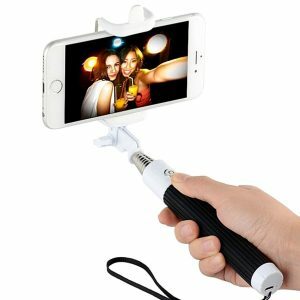 Much like the cell phone holder, a selfie stick lets you watch ASMR videos in bed with ease. Simply place your phone in the stick and hold it in place with your hand. Most selfie sticks are adjustable in height.